We are a family owned restaurant in the great community of Babylon Village. The meaning behind “Family” is in the core of our values and is represented in every decision we make. The staff here at Lily’s are passionate & dedicated employees that work hard to preserve our values & standards making our work environment an excellent place to make strides towards your future. We are always looking for enthusiastic & self-motivated candidates to add to our ever-growing team, and although experience is not necessary, it is a plus! 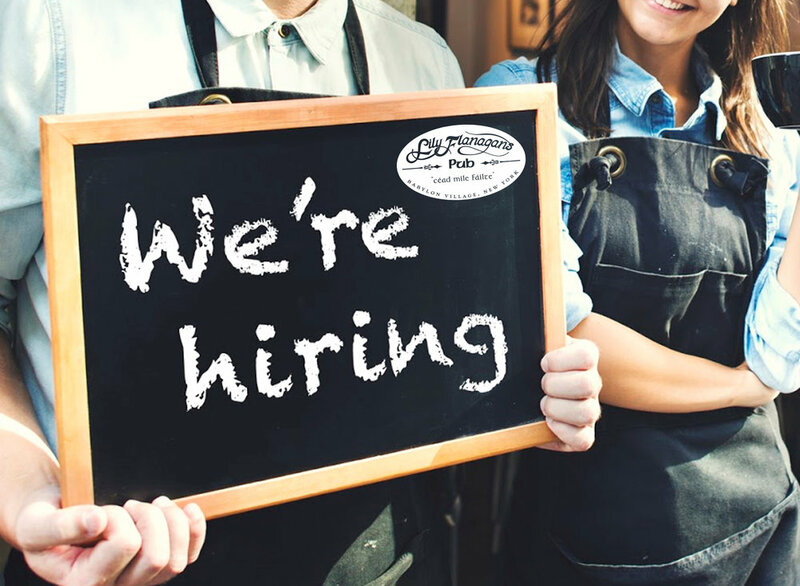 Apply for our team today & join the fast-paced & rewarding environment of the restaurant industry, learn from our best, & become apart of the LFP Family!